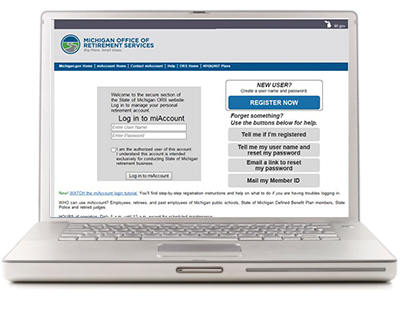 Log in to your pension account. Go to the Pension Account Login. This brings you to miAccount where you’ll go to manage your plan information and a portal to your retirement investment and pension accounts.